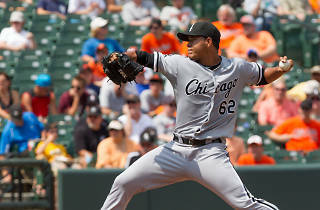 Photograph: CC/Flickr/Keith Allison White Sox starting pitcher Jose Quintana is likely to start the 2017 season as the team's best pitcher, following the trade of Chris Sale this offseason. The Chicago White Sox will spend the upcoming weekend introducing fans to a team that has dramatically changed its makeup and direction since the end of the 2016 season. SoxFest 2017 runs January 27-29 at the Hilton Chicago, but this year’s annual fan gathering will be as much about catching up as it is about looking forward. During the three-day fest, fans will have the opportunity to get to know the team’s new manager, Rick Renteria, and get familiar with a new team philosophy that included trading outfielder Adam Eaton and ace starting pitcher Chris Sale in order to load up on top prospects, à la the Cubs. Speaking of the Cubs, Renteria is a familiar name to Chicago baseball fans, having served one year as the Cubs manager in 2014, during which time he helped several of the team’s young players, including Anthony Rizzo, make major strides. The White Sox are now hoping he can do the same with new prospects Yoan Moncada and Michael Kopech (part of the slew of young talent acquired in the Sale trade). According to the team, Moncada will be among the team’s new top prospects attending this weekend’s SoxFest. 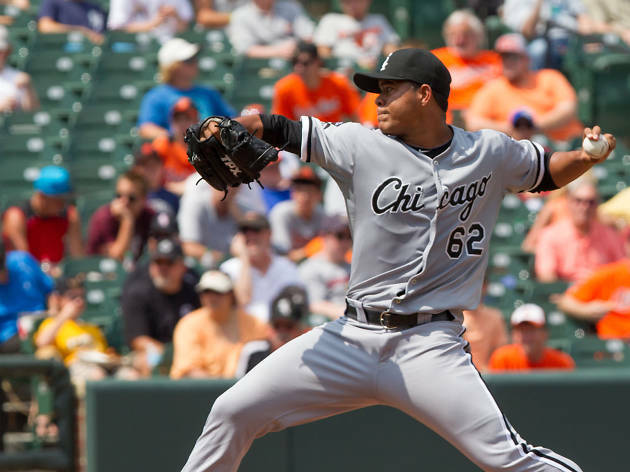 His appearance will be the first real opportunity for South Side fans to get to know a player that seemingly everyone in baseball expects to be a centerpiece of the White Sox team for years to come. In addition to Moncada, current and former White Sox players will be on hand to sign autographs and take photos throughout the weekend, as well as participate in Q&A sessions. Young Sox fans will enjoy expanded interactive activities, can take part in a kids-only press conference and participate in clinics and games on the Little Sluggers Field. Sox front office staff and broadcasters will also make appearances at SoxFest, according to the team. For fans who are unable to attend this year’s event, CSN Chicago announced that it will carry comprehensive coverage of SoxFest 2017 on its cable network starting at 4pm on Friday. Fans can also access CSN Chicago’s SoxFest coverage at csnchicago.com/white-sox. Jon is an assistant editor, blogs, at Time Out Chicago. He once ran down a mountain to escape a lightning storm. Follow him on Twitter @strikechords.